PDC Machines is located in Warminster, Pennsylvania provides engineered solutions for the hydrogen refueling, specialty gas and chemical processing industries worldwide. 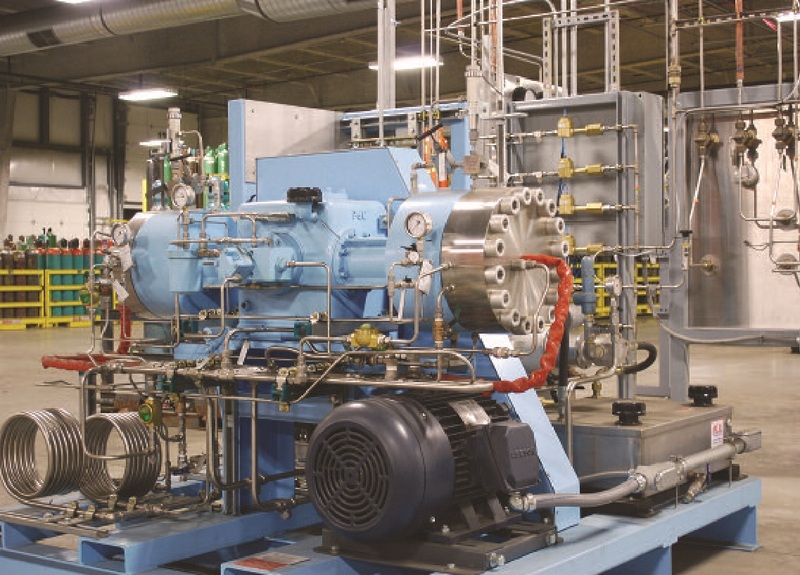 We design, fabricate, test and commission our technology from diaphragm compressors to alternative energy equipment such as fuel cell hydrogen compressors, and more. Not only are we a small business with 74 employees, but we are also a second-generation family owned business, celebrating our 40th anniversary in 2017. Exporting is a major benefit for our business. Since the early 1980s, we have been exporting our products, and today approximately 50% of our company’s total revenue is from international business. What’s more, upwards of 70% of our employees have their jobs because of demand from outside the U.S. We truly have a global footprint, with exports to multiple countries including Canada, Mexico, many countries in the European Union and Asia, the Middle East, North Africa, and South America. Trade with Canada and Mexico, specifically, is important but can be challenging because of our niche product and market. We have had good success and ease of getting product into Mexico, yet some challenges exist in Canada with required certification in each province which adds costs and engineering effort. As Washington looks to modernize NAFTA, we would urge them to focus on preserving what works in the agreement and look at areas of certification harmonization as an area of opportunity to bring the agreement into the 21st century. Without a strong and modernized NAFTA, it could jeopardize our competitiveness in the region. Approximately 50% of our company’s total revenue is from international business, and upwards of 70% of our employees have their jobs because of demand from outside the U.S.